There is such a thing as too much of a good thing, but is there such a thing as too good? That is what I think of when I think of this show, my experience with it, and why I dropped it from my weekly lineup. 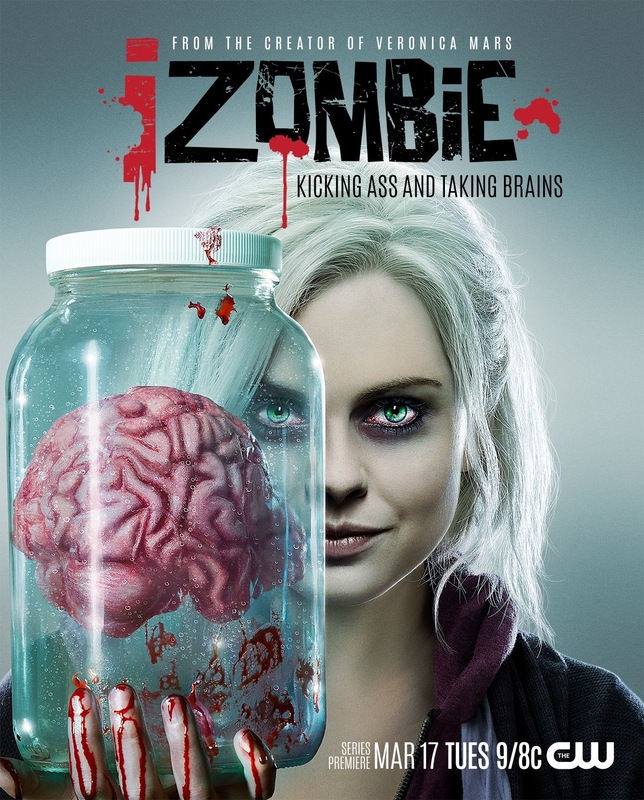 Based on a comic which it does not remotely resemble, iZombie tells the tale of Olivia “Liv” Moore. (ah, a pun, “Live More,” so clever) She was a medical student/graduate with her whole happy life in front of her: graduate, go into medicine, marry her handsome, noble fiance, live happily ever after. Then she became one of the first people infected at ground zero of what could easily have become a zombie apocalypse. She’s a zombie now, and in lieu of the apocalypse, she becomes a medical examiner in the coroner’s office of the Seattle police department, giving her access to a steady stream of deceased brains to eat, and with this comes visions of the victims’ lives, as well as parts of their personality, which she uses to help solve their murders. It’s an intriguing setup to be sure, and what initially drew me in. Each week has a new murder mystery to solve, running alongside the overarching plots of personal drama, corporate conspiracies, villainous masterminds, and the complications of an evolving zombie community. Some zombies are victims, like Liv, and others are rotten as Hell. Actually, no, they’re even worse, they would make even the Devil himself look halfway upstanding. If there was one difficulty I had with this show, it was the emotional intensity of it. Every little crevice of iZombie is saturated with the humanity of its characters, both major and minor. As a result, the tragedy, and monstrosity, of so many of their murders is completely unvarnished. It’s not just raw, it’s deliberately directed, and I found out just how low my threshold is for such. The show utterly dwarfs quite nearly any show I’ve ever heard of for the pain it puts the characters and the audience through. It’s not just an emotional torture rack, it’s an entire emotional torture chamber. First thing, I have to praise the acting on this show. The show would be emotionally impotent without them. 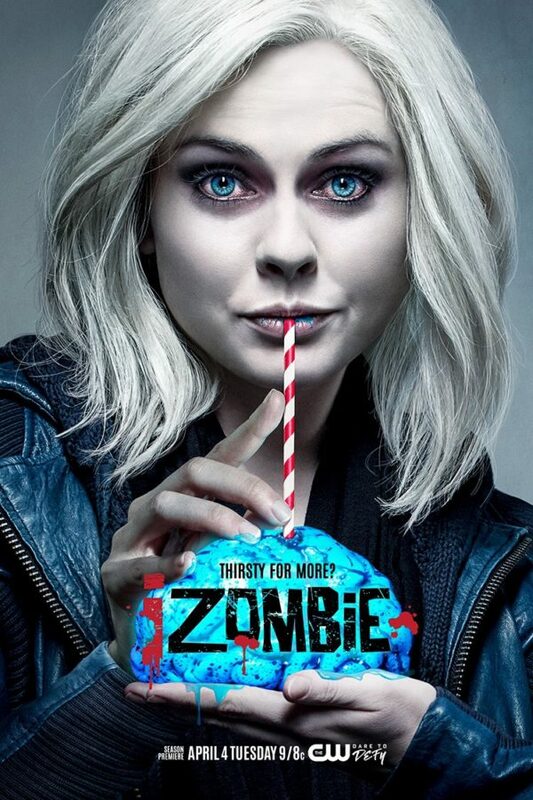 Easily the best is Rose McIver in the lead. She not only brings out Liv’s usual wit and her tremendous heart, but the many personas Liv takes on are a hilarious proof of her skill as an actress. Her main love interest, Major Lilywhite, has a strength like Liv’s, born of earnest unselfishness, and Robert Buckley is an excellent, studly choice to play him. Malcolm Goodwin, Rahul Kohli, David Anders, and Aly Michalka all shine in their respective roles, and the list goes on. Everyone is just so believable, and perfect in their role, whether it be a well-grounded homicide detective, a geeky mad scientist, a nefarious villain of occasional pivotal usefulness, a clever, loyal best friend and lawyer, or whatever else they are. Major kudos to the producers in their casting choices. The story is also very well crafted. The show weaves an intricate number of threads into a number of events that evolve and pile up and eventually crescendo most capably in each season finale, all of it driven by the characters. Nothing’s feels like it happens “just because.” It’s all a natural progression, one thing leading to the next, one long, overarching story. There are some curve balls, but they’re curve balls that are set up and make sense, so it never comes out of left field. And there’s never a dull moment. One could wish that the obvious pairing of Liv and Major didn’t come with the utter destruction of every other possible romantic interest, but that’s the only real complaint I have thus far. I also love, from a world-building perspective, how they integrate the whole zombie thing into daily life. Liv’s little setup at the morgue, the butcher shop of mass murder, the funeral home, a zombie military company, and a zombie bar, thus far, with the promise of an entire zombie city next season. Zombies, too, with Ravi (Kohli’s character) providing a medical analysis on the zombie virus and how zombies have slower heartbeats, how they survive almost anything as long as the brain’s intact, how they need hot sauce to taste anything, etc. And the brain-eating thing? They play with that too, including how Liv prepares them, how the butchers cook them, how the military zombies have a brain paste, and the third-season development of “blue” brains, practically making a zombie-specific drug. It’s all the details and ideas that get rolled together with the characters that make the show ever more entertaining. 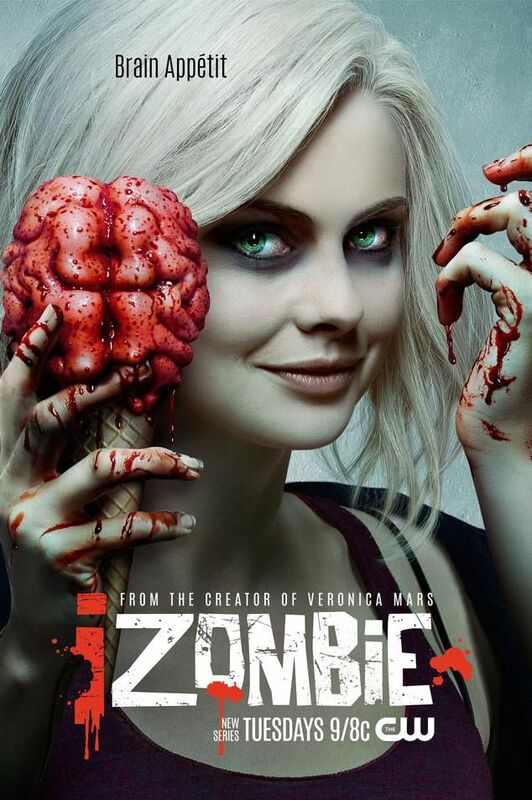 In short: iZombie is an entertaining show with convincing characters and believable stories, and a fascinating new take on the idea of zombies that emphasizes the humanity of both them and the people whose brains they eat. It is not for the faint of heart, but it’s well worth it. This entry was posted in Tuesday Review, TV Shows and tagged iZombie, Liv Moore, Rose McIver. Bookmark the permalink. Dropped it in the second season, for a different reason. The first season, while sometimes difficult to watch, was gold. But in the second one everything I liked about the first season was gone. Instead of Liv struggling with whatever traits she got from her last brain, she pretty much became this character, and it was played for comedic purposes more often then not. The problem was that Liv got lost in all of this. At the same time the storylines became more and more cliché. It reminded me of the last seasons of Buffy (and no, I never managed to watch Buffy till the bitter end either). Shows like this are the reason why I usually wait three seasons before I write an article about one. Few of them manage to keep up their quality. I can see that. (though, the big finish for Buffy is worth it, I say) And it’s interesting what you say about Liv getting lost in the brains she eats. That actually occurred to me while watching, as Liv kept getting driven by other people’s compulsions, and she makes a pretty serious mistake near the end of season three based on that. It’s like something about her “self” is getting worn down after so many other personalities have come through her head. Honestly, by season 2 nothing of her seems to be left and the fact is rarely even addressed. Great article and i find the three seasons having the same quality and totally understand the evolution..Actually it was start of season 1 who was a bit slow..otherwise it moves fast..And Liv losting herself in the brains she eat was explained and served a purpose.